Pablo Gunner & JD address the comic books of December 28th. 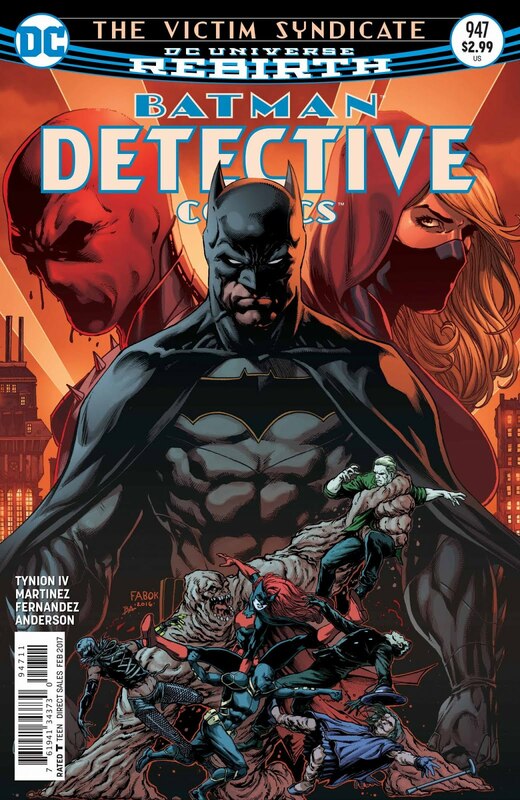 JD covers DC books and Gunner takes care of Marvel and indie titles. We also talk about the future of Talk Nerdy To Me. Usually I'm disappointed with artist changes but not this time as it fit and worked wonderfully. This was kind of a one-shot/filler issue but it felt like a much needed break and focus n other things. Iris and Barry go on their first official date and Wally does his best to keep the city safe so they won't be distracted to their jobs. The colors and overall look keep a consistent look and visual style. 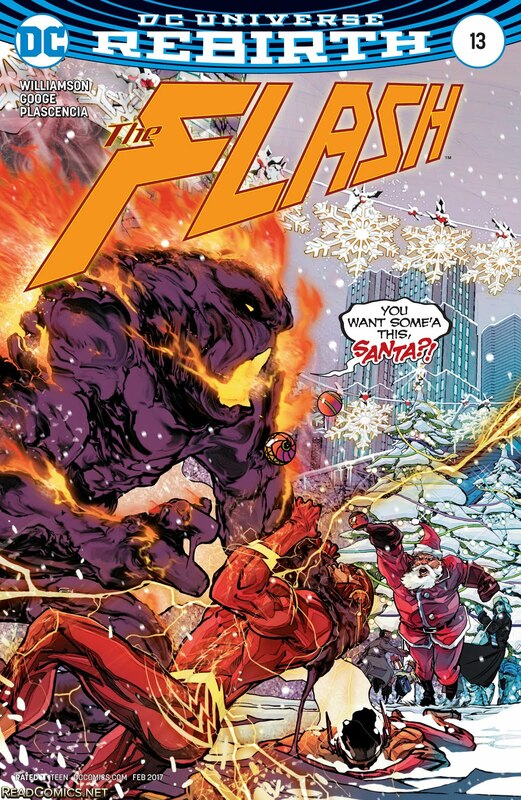 Wally faces off against Tar Pit, which is like Clayface but tar, and then ends up helping him. In the end it didn't really feel like filler at all. It develops Wally as a hero as well as Barry's personal life. It fits perfectly as part of the series and well on its own. There's so much going on in this title yet so little issue to issue it's hard to judge each one individually. This issue focuses on different aspects of Maika's mother, Moriko, in the past. One is very colorful and bright. The other was quite dark but both were grim. Maika has a memory of Moriko training her how to survive in a way that is disagreeable even to her Tiger pirate friend, Seizi. This is an issue in which it really has Maiki look within to contemplate as to whether her mother actually cared about her. 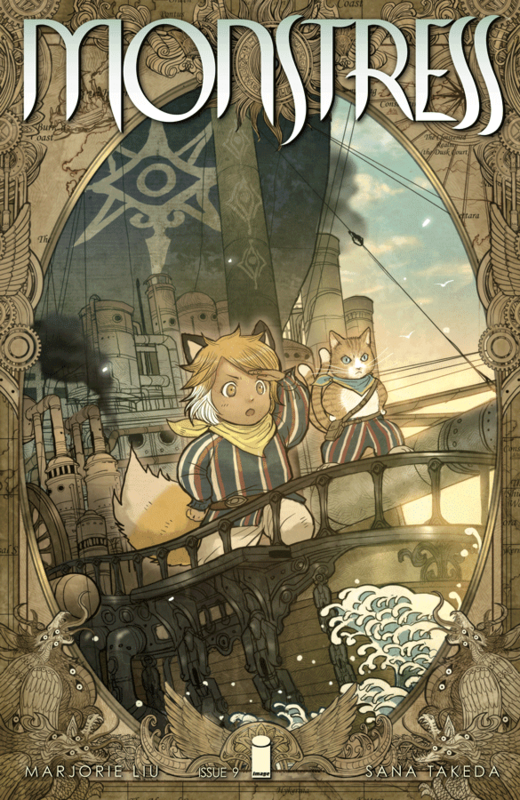 Maika struggles to survive against two spies on the ship. She is cast away to an ominous and nefarious island. This book is so rich is culture, history, and character. It's definitely not the some of its parts, it's much more. The art is always gorgeous and stunning, impossibly so. It's very interesting but a small part of a large and expansive ever growing story. I suggest reading it in trade. This picks up with this elite stormtroopers, Scar Squadron, "interrogating" 3PO. Vader orders them to get rid of him. Against his orders they decide to try to trick the rebels to rescue their friend. Of course they see through this but R2 refuses to give up on his companion. He shuts down Luke's X-Wing. 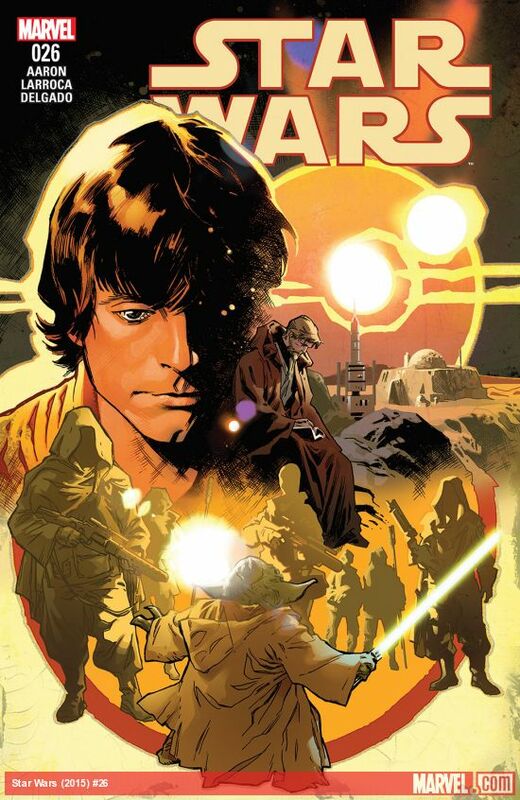 This forces Luke to catch up on a reading from the journal of Ben Kenobi. It tells the beginning of a story about Yoda. At first he recruits a captured force user boy from a band of pirates. He meets with Qui-Gon and Obi-Wan to take the boy to Corusant. He decides to follow the force to a planet where he felt a disturbance. It's obvious this may be a two or three is arc. I'm looking forward to reading more even though this didn't provide much. Other than the spectacular visuals this is a slow moving story that left me wanting more. This was a tease in so many ways. There was a couple neat moments but few and far between. The most appealing thing about this book is Larroca's art as this might be the best work I've ever seen from him. A big part though are the depth and magnitude of the colors. Artistically this is by far one of the best books this week. If I were you I'd wait until the next issue comes out to read them together. This issue is not what I expected or wanted out of it. That is both a good and bad thing. For one it's good that it's not what I expected because that would have made it predictable but at the same time I think it would have been a lot cooler. 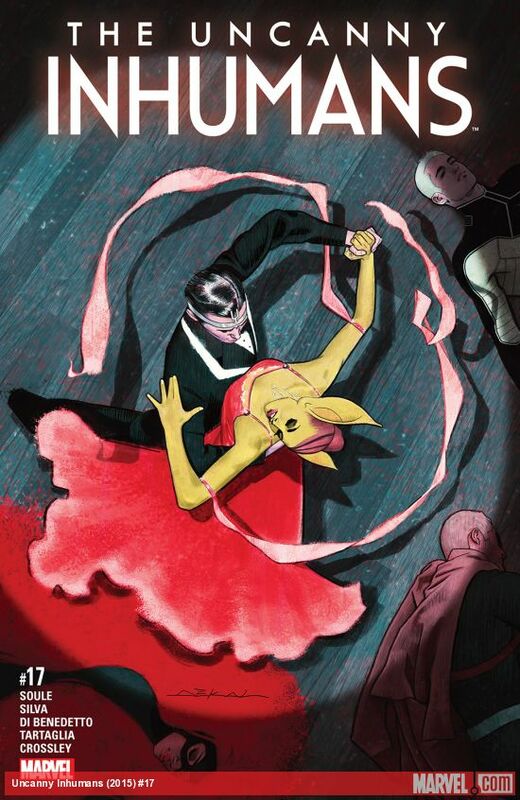 I thought the newly created and assorted Auran was going to attack Black Bolt with the power she stole from him. That would have been awesome but like Bolt explains that would result in the destruction of the city and death of millions. Like I said, that would have been awesome. Instead Black Bolt with the help of Auran's daughters, Flagman, and Sterilon, they contain and fix her. To me it was disappointing that it seemed to easily and quickly resolved. At the same time it was incredible seeing how well the forming king took charge and handled this. I think if the stakes were higher by having Auran destroy the Quiet Room and potentially more before it got resolved to would have been better. Black Bolt deserved to be taken down a notch for killing Auran in the first place and other past transgressions so it was unfortunate I didn't get to see that in this. Everything looks on point in this book. The colors, pencils, and inks were top notch. I enjoyed and appreciated the detail in the facial expressions. I just felt this arc could have been more therefore I can't give it a STRONG BUY. Unfortunately this doesn't pick up where it left but it's been so intense lately I don't mind the much needed reprieve. 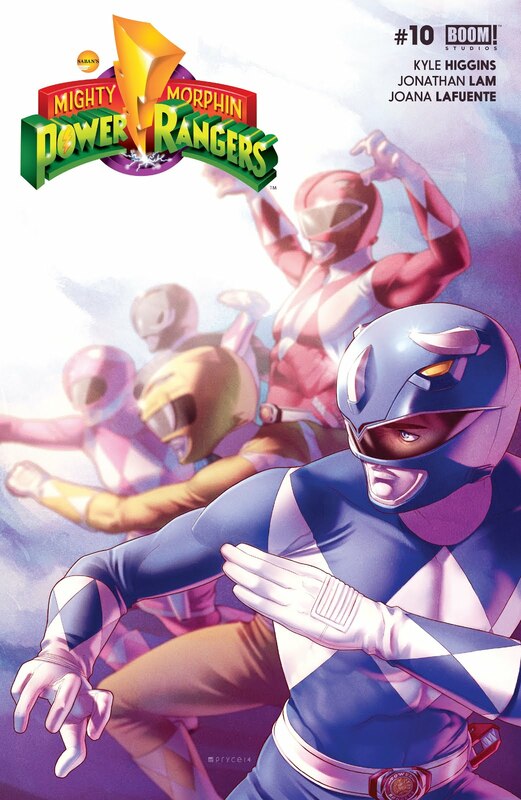 This issue focuses on Billy, the Blue Power Ranger. At the beginning the Power Rangers are fighting a scary insect monster. Billy hesitates to deliver the final blow. Throughout the book he questions his abilities, whether he is worthy to be Ranger, and considered to be a hero. It seems like he shelved some of his doubts as he comes through in other ways by using his intellect. 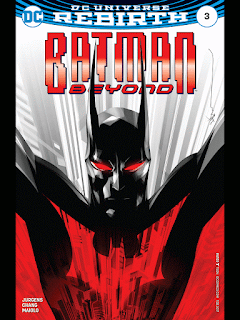 It says to be continued so I believe this will be a at least part of a two issue arc. This will give Billy the chance to prove himself but I'm ready to get back to the main story. Either way it will be superb as this was. It's surprising how consistently well done the art is. It's brighter than the previous issue though which was fitting and made it clear that this is a past story. Overall I was impressed and enjoyed it. Hal Jordan is greeted by Kyle Rayner who brought him back from Emerald Space. The GLC discovers their true captor is Lar Fleeze. As Sun Tzu says, know your enemy and you can defeat them, so that's exactly what they do. All the while Hal, along with Kyle, and the exiled guardians, Sayd and Ganthet, search for the Green Lanterns who are now missing again. 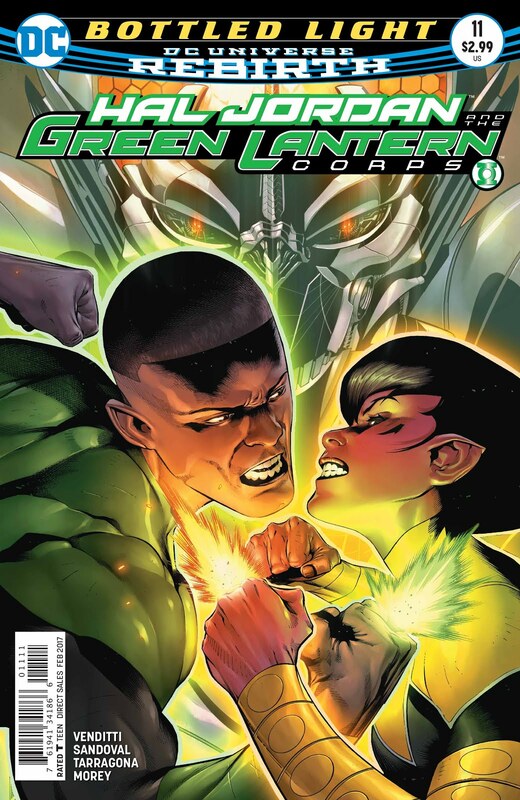 Colors are a substantial factor of a lantern series. This does not disappoint in that sense. I will say the story was pretty predictable. It was still enjoyable though. The most impressive element of this book was the art. The character were all accurate. As good as this was I'm more excited to read the next one. Even though I had a strong suspicion that Stephanie Brown was going to turn on Batman I didn't expect it to go down the way it did. She legitimately took down the whole team. That may seem like a spoiler in its own right but it's how and why she does it that really makes the difference. She's not wrong but she's not right. This book had everything and more to conclude the Victim Syndicate and tease something else that has been eluded to. 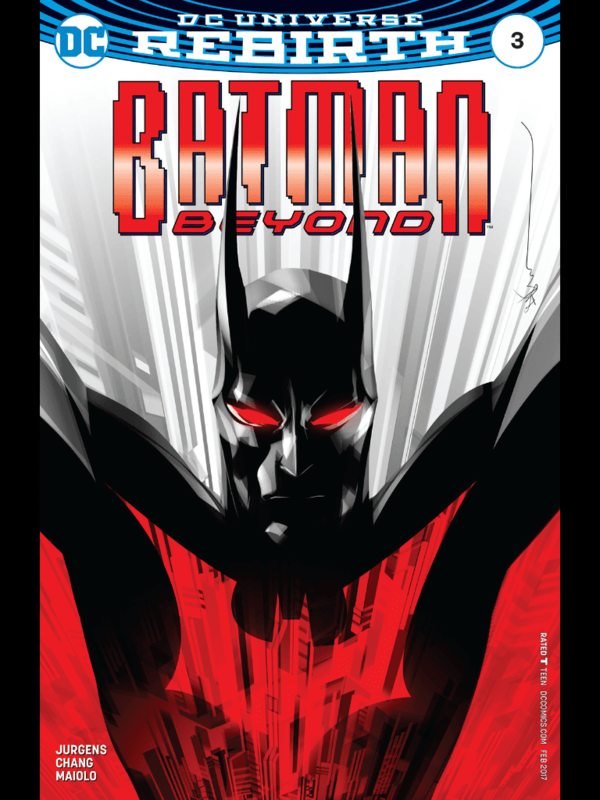 It was the perfect endcap to a story that focused on loss and consequences of there being Batman. I will say that the one thing this arc lacked was a true long and lasting effect. Spoiler threatens to do something in this issue that I really wish she would have followed through with. As far as the art goes it was absolutely stellar. They make Spoiler look so dark and ominous in this issue which is exactly how it should be. The visuals brought a certain level of emotional intensity that was much needed. The expression of Cass and Bruce were the my personal faves. 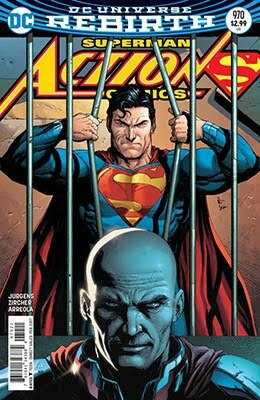 Superman travels to some inconsequential planet where Lex is being held prisoner, awaiting trial for his future crimes as the successor to Darkseid. Once Superman discovers that Luther had a mother box he majes up his mind that Lex is guilty despite the fact that he openly explains thats how he escaped Apocalypse previously. This issue fell flat for me. I found the characters to be stoic and stiff, lacking emotion. The action and colors were quite powerful though. This book reaffirms my belief that Lois is a now a crappy mother. At least Clark has the excuse of being a bad dad because he's busy as Superman. Overall I didn't care for this one. 0:01-3:26 Intro: Sponsors-Twin Suns, Age Of Comics, Gamers Anonymous, Host-Pablo Gunner, JD, December 27 comics, free digital comic codes, Grade Scale-BUY, Skim, pass, Back 'n Bag of the Week aka BBOW, SPOILER ALERT!